One of the most annoying things about browsing the Internet is definitely the invasive and non-ethical adverts that we come across on many webs. As you know, banners that pop up hindering our browsing experience leading us to accidentally click with the subsequent data consumption in the best of cases, if not the download of some stupid complement that fills our smartphone with junk. However, there are solutions to this first-world problem and one of them is Adblock Plus. 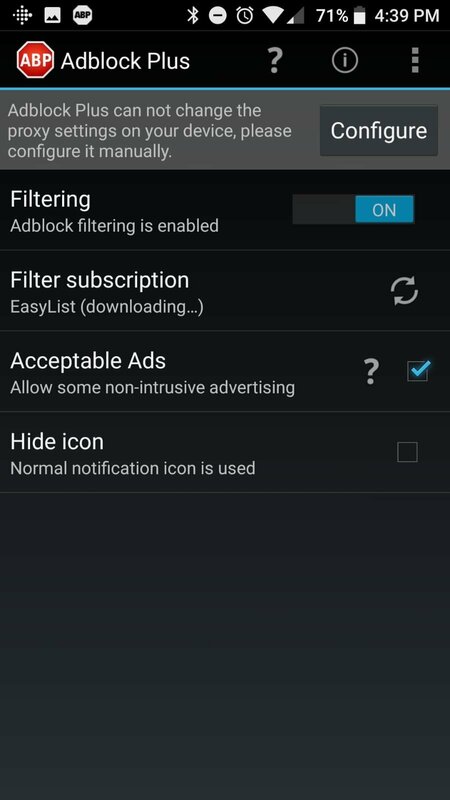 It's an Android extension that you can download for free and that will help you to block adverts, disable trackers, and block those domains known for spreading malware. This extension has become popular on smartphones but it can also be downloaded for PC as an add-on for some of the most used browsers: Chrome, Mozilla Firefox, Opera, Internet Explorer, Maxthon, Yandex, and Safari. 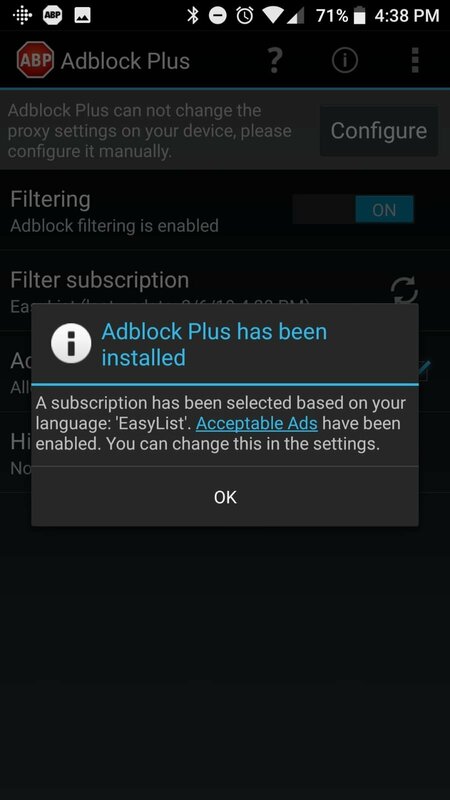 A list of adverts to be blocked based on the user's language. 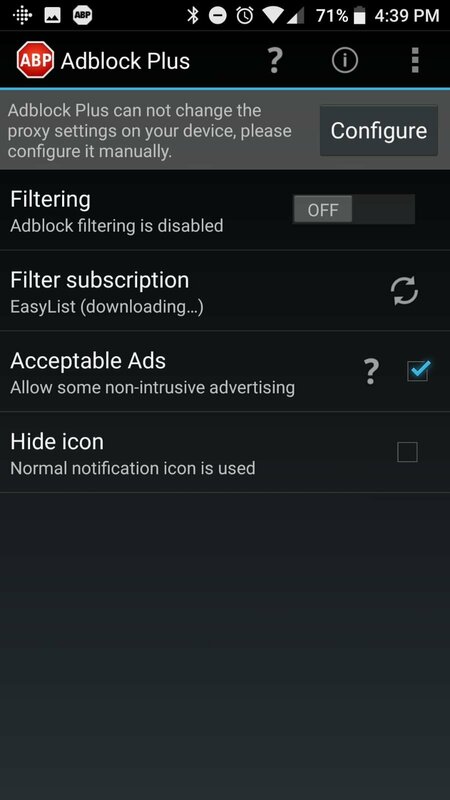 A list of exceptions with acceptable adverts. Browse without getting annoyed by invasive adverts: only allow those that have been designed ethically. 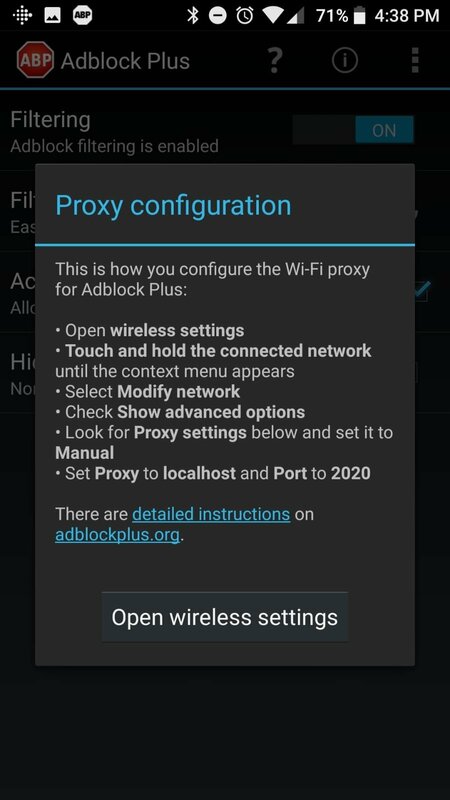 Does it block all adverts? Applications of the likes of Adblock and other alternatives are surrounded by certain controversy. Mainly because installing this application involves blocking the adverts that help webs to make money. It's true that it can help us to save data and gain in speed but there are also acceptable adverts that don't hinder the user's browsing experience. Aware of this fact, its developers offer the user plenty of flexibility to configure the filters to his own liking as well as inviting him to identify the criteria used to consider an advert acceptable or not. 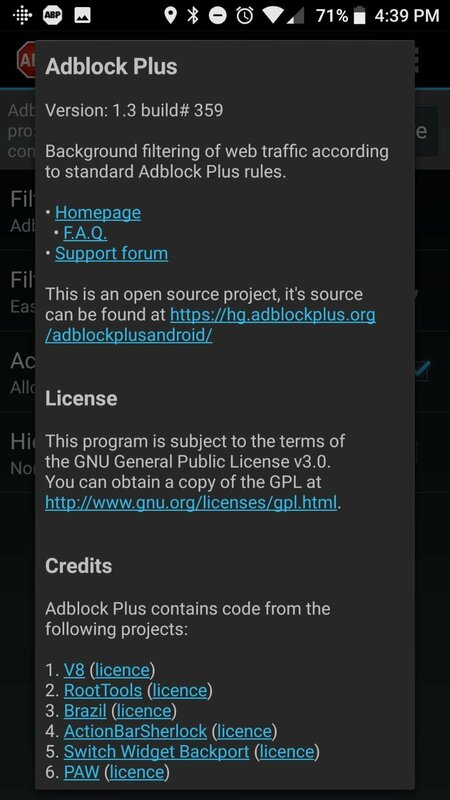 How to install Adblock on Android? 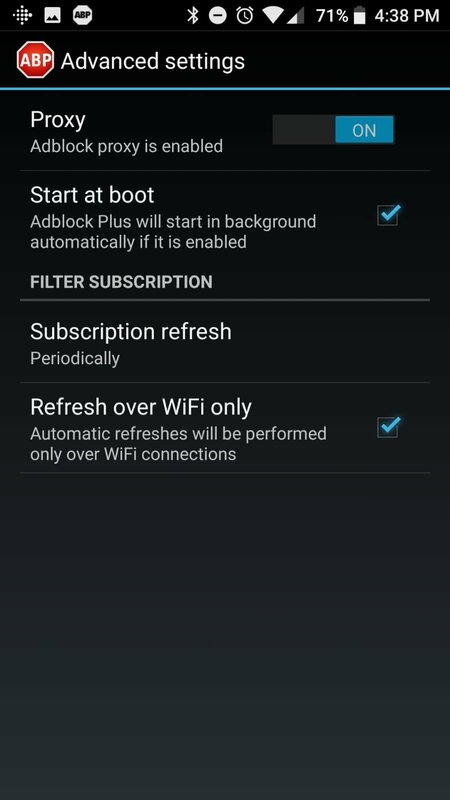 To install this app, we have to download its APK and authorize from the settings of our device the installation of applications from unknown sources. 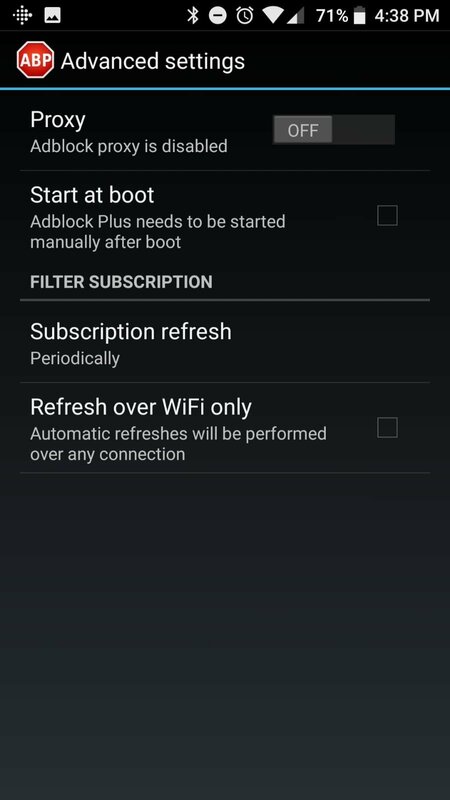 Then we have to configure it to enable and disable the blocking lists that filter the adverts. 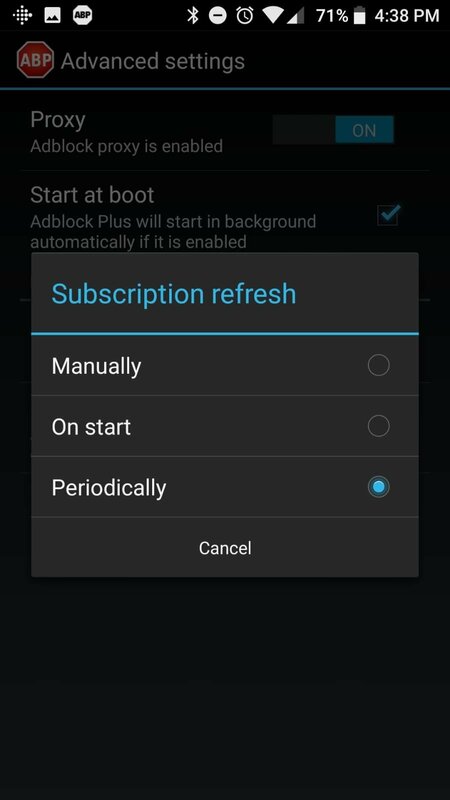 And if you were wondering how to uninstall or disable ABP, we'll also tell you what to do: just go back to the settings and then from the application management section, choose to uninstall it.